Rohner has learned a lot about the spray booth industry since the company was founded in 1999. Back when the company first started, the prevalent notion in the spray booth industry was that a spray booth is just a spray booth. A few pieces of plywood could do the job in smaller situations, while larger jobs did not require much more. From the beginning, Rohner insisted that quality and custom designed booths were necessary for the long-term success of every client. Rohner also understood the importance of local dealer-distributors who could help customers to get exactly what they needed. Being a distributor for Rohner, RelyOn knows the laws of a particular area and all of the environmental rules that govern how spray booths are to be built. 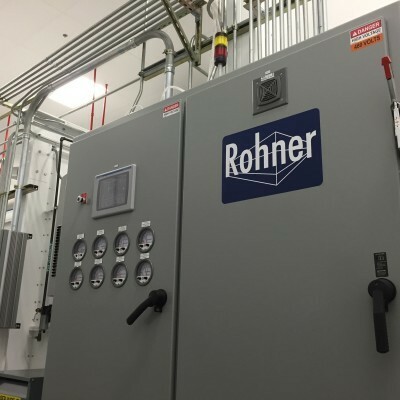 The spray booth industry has changed a lot since 1999, and Rohner has been at the forefront of the industry from the very beginning. Rohner is very selective with the companies they choose to represent as their distributors. Not just anyone can be a Rohner dealer-distributor. RelyOn has the expertise to deliver quality service while staying up to date on all of the changes in spray and coating booth laws and regulations to make sure that every customer gets a booth that is effective and compliant. Every single booth Rohner designs, manufactures, and sells has the Rohner name on it, which is not something they take for granted. Their engineers are constantly looking at new ways to make our booths more efficient and economical. They want to be sure that when they design a booth, it matches the clients exact needs. Rohner is inconsistently coming up with the cutting edge solutions the industry needs. There is a great deal of pride and innovation that goes into every Rohner booth. If you are a company that demands precision solutions to your spray or coating booth issues, RelyOn can help determine exactly what you need.